A chemical peel is a minimally invasive procedure in which an acid-based solution is applied to the skin to remove dead cells. Cosmedic Skin Clinic skin peels offers a unique blend of acids to provide a gentle but effective peel, resulting in tighter, smoother, brighter-looking skin immediately after just one use. Superficial peels can help lessen rough skin texture, sun-damage, fine lines, mild acne scars, age spots, melasma and irregular skin tone. Pioneered in Beverly Hills and coveted by A listers globally, this infamous intensive treatment is clinically formulated with the purest pharmaceutical grade ingredients and designed to rapidly and safely resurface the skin, reduce fine lines, address problematic skin and encourage cellular renewal. 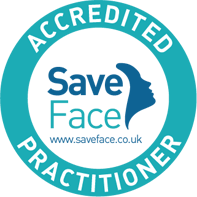 The most common area treated is the face however they can be performed on the face, neck, chest, hands and even the arms and legs. Chemical exfoliation has been used throughout history for over 3,500 years. Lactic acid from milk and tartaric acid in grape skins were used by the Ancient Egyptians and are still found in many beauty products nowadays. The skin peel is applied to the surface of the skin to carefully remove the outer layers. The depth of the peel is determined by the amount of time it is left on the skin and can range from superficial (epidermis only) to medium depth (extending into the dermis). The deeper the peel, the greater action it will have but also the greater the downtime and risk of complications. As the new skin grows, it will have a thicker epidermis and new collagen in the dermis, resulting in a softer, fresher skin. Skin peels are generally very safe, quick and easy to perform. The face is cleansed to remove the skin’s natural oils and to allow the peel to be absorbed into the skin. The peel is then painted onto the area to be treated and left for a few minutes before it is washed off and neutralised. The skin may feel a little warm and you may experience a tingling or stinging sensation during treatment. Immediately after treatment, the face is usually a little pink or red and there may be some white discolouration or blotchiness which settles within a couple of hours. Redness and dryness may last a couple of days and peeling starts to occur within 48 hours and lasts 2-5 days. Some clients do not experience peeling afterwards, although the treatment still has a beneficial effect. There is very little downtime and most people would be able to return to work after treatment. Side effects of chemical peels include hyperpigmentation (too much pigment in the skin leading to brown blotches) and a high factor sunscreen should be used for at least a week following treatment. Sometimes a chemical peel can precipitate an outbreak of cold-sores in susceptible people. 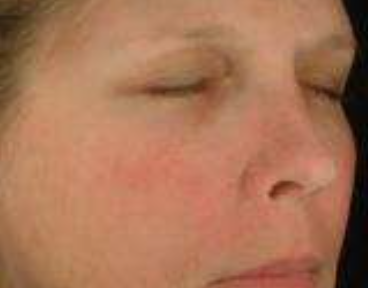 Although rare, the face may be swollen after treatment and redness or blotchiness may persist for a few days. There may be some itching associated with peeling over the next few days. Skin peels often achieve instant, glowing results and tighter, smoother, brighter-looking skin after just one peel (although a series of 4-6 peels provides best overall results). Following treatment, the skin should be cleansed with a soap-free cleanser, patted dry and moisturised. Do not pick off any peeling skin as this may result in bleeding, pigment change or even mild scarring. Use of a high protection sunscreen is essential to help avoid pigment changes. If any problems occur, contact us for a review as soon as possible. Skin peels work in harmony with our skin care products at the clinic and we would be happy to provide you with a unique skin care regime tailored to your skin’s requirements. 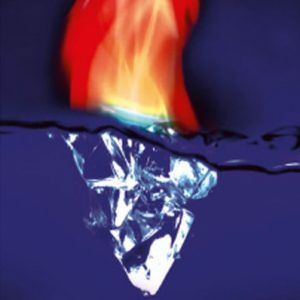 Following your skin peel you may experience some redness on the treated areas accompanied by a warm glow. This will last for several hours but should have settled by the following morning. Peeling starts to occur after 48 hours and might last 2-5 days, not all clients experience peeling although the treatment will still produce beneficial results. Make-up or other skin care products not recommended by your practitioner should not be applied for at least 12 hours after your treatment. DO NOT pick, peel, scrape, scratch or wax your skin as this may lead to infection, bleeding, pigment change, delayed recovery or scarring. Avoid abrasive sponges or exfoliation for 1 week after treatment. 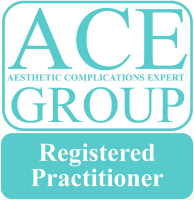 Avoid other cosmetic procedures without the specific guidance of your practitioner, including waxing or electrolysis. Wash with a very mild soap, rinse with warm water and remember to moisturise regularly following the treatment as you may experience some dryness for a few days. Avoid sun-exposure and use a broad spectrum (UVA and UVB) sun-cream of at least SPF30 for at least a week. Avoid the use of alpha and beta-hydroxy acids, retinoids, retinols, fragranced products and any creams that are in any way irritating for at least a week. For the best results we recommend a course of 6 treatments at intervals of 2 weeks. Remember – cleanse, moisturise & protect! The use of a serum may enhance your result. Pioneered i n Beverly Hills and coveted by A listers globally, this infamous intensive treatment is clinically formulated with the purest pharmaceutical grade ingredients and designed to rapidly and safely resurface the skin, reduce fine lines, address problematic skin and encourage cellular renewal. The Centrepiece of this remarkable system is a combination of two treatment masques; The extremely powerful Intensive Resurfacing Masque is formulated with Sugar Cane Extract (potent natural source of Glycolic Acid), Retinol (Vitamin A) & Niacinamide (Vitamin B3) whilst the Rejuvenating Masque, formulated with potent antioxidants, Sodium Hyaluronate (Hyaluronic Acid), Aloe Vera, Green Tea, Grape Seed & Rosemary Extract, soothes, hydrates and nourishes. This treatment is complemented by a unique combination of cosmeceutical serums & crèmes to guarantee one of the most effective results driven facials you’ll ever experience.